I was catching up on some blog posts today when I found this on a good friend’s blog. I thought I’ll try this out as well. M: Middle Name: No middle name! 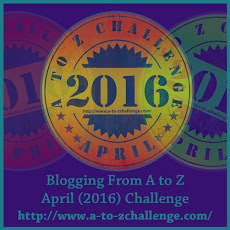 Feel free to list out your A to Z if it interests you! Over the last few weeks, I have been on an eating binge – no, don’t get me the wrong way there. What I have been binging on is pappadam* – at least for dinner that is. Don’t ask me why this sudden obsession. I’m struggling for an answer. I have been content with one pappadam and even without one I would happily partake my dinner. But not anymore. I want three pappadams, not more and certainly not less. I am now deep into this abyss of pappadams, perceiving very well that the wife’s eyes are on me. She is on tenterhooks, really. Not because she doesn’t get to each as much pappadams as I do, but because she believes my cholesterol levels will shoot up at the rate I’m devouring it. And what do I do when she looks at me like that? I just shrug my shoulders and enjoy it. Holding it, it feels like the moon in my hands – with those mountains, craters and the oily sea of tranquility spread across the round contours! I enjoy each and every bite not to mention the happy sensation the crunchy sound gives me! Oh, not to forget – I love smashing it to smithereens and as well as taking slow nibbles. Unfortunately for my wife and fortunately for me, the height of contentment is when I finish my third one. You can never really stop having it, I would say. It comes as no surprise then that it is universally liked by a six month old to a nonagenarian. How could something flat, round and without any apparent oomph be transformed into a ballooned up, attractive eatable one would jump at the sight of? Appearances are certainly deceptive! It’s supercalifragilisticexpialidocious!!!! I don’t know what I will do with my new-found obsession for three pappadams. I really yearn that it continues to tempt me. And I hope I yield to that temptation without really being worried about stuff that goes on inside my body. The worst thing that could happen is for this phase to pass. Oh, it would make my wife happy but not me or the pappadams. Well, one can’t have it all, eh? Sigh! During the 1991 general elections in India, as votes were being counted in hundreds of constituencies across the nation, Doordarshan was broadcasting old Hindi movies juxtaposed with election news on the hour. The nation had just lost Rajiv Gandhi and I was curious to see who would become Prime Minister, not because I was interested in politics at the time but from a general knowledge perspective. Instead, what caught my attention was a movie starring Rajesh Khanna and Amitabh Bachchan. I was totally drawn to the movie that over the course of the next 20 odd years, I would watch it more than 20 times! The movie was Anand (1971) directed by Hrishikesh Mukherjee and co-written for screen by an illustrious quintumvirate of poets and writers. Anand is the story of Anand Sehgal, a man so terminally ill that his cheerful disposition comes as a whiff of fresh air. For someone who wasn’t expected to live for more than 6 months, making friends with total strangers must have been easy and difficult at the same time. Perhaps his loneliness combined with the stark inevitability of his illness drove him to acquaint with others – a stabile search for companionship, even if short-lived, for the few minutes of extreme joy that it delivers. Literally living up to his name, Anand spread happiness all around him until he succumbed to his illness. Rajesh Khanna comes through in the role and did every bit of justice to the character he depicted. There is something about Anand’s past that lingers mysteriously long after the movie has ended, but we can certainly live with that. The person Anand influenced the most was his doctor, Bhaskar Banerjee, portrayed by Amitabh Bachchan. A disillusioned doctor, his conversations with Anand seemed to lend contractions to his misgivings and slowly alter his attitude. This is a refreshingly clear case of the patient turning around the life of a doctor – one that is at odds with the usual doctor-patient chemistry which we ordinarily get to watch. Anand’s banter and his wisdom beyond age had this magical quality. He truly belonged to that genre of influencers. Amitabh Bachchan and Rajesh Khanna play diametrically opposite roles in the movie and they cannot be compared. The exuberance of Anand and the aloofness of Bhaskar made it inevitable that both had to make subtle adjustments. I felt that Bachchan had to do a lot more hard work for this role. This is not noticeable on watching the movie, but rather the benefit of hindsight. We all know how he came of age a couple of years after Anand was released. The film’s tragic but beautiful storyline offers plenty of lessons for today’s generation – both movie makers and movie watchers. 45 years is a long time in the Indian cultural milieu but the messages and the inspiration that the movie brings to the populace is enduring. The lyrics penned by Gulzar are astounding. The nuances of life come out on more than one occasion in those lines. The songs are warm and melancholy. Each time I watch Anand, I try to think of what his past was. A jilted lover seemed to lurk somewhere in that mysterious book which he carried in that bag of his. Anand is a beautiful movie – a simple story transformed very well to the canvas of the big screen. It’s the story of a patient who chose to be happy, in spite of the condition he found himself in. 1. On my study table, I keep my watch to the right side of my wallet. 2. I drink exactly four mouthfuls of water before going to bed every night. 3. I don’t shave my beard on days when the Indian cricket team or Manchester United are playing. 4. I count numbers when having a bath. 5. I cut my fingernails with a nail-cutter for the right hand and scissors for the left hand. I know these are outrageously silly, yet I am not myself without these. I’m not sure when I started many of these but once it started, there has been no looking back. Eating Dosa for breakfast this morning, my thoughts went to Raghuram Rajan. The affable banker’s Dosanomics is famed. As is his uncanny ability to make economics simple enough to understand for the masses. India will terribly miss him come September. It is maddeningly sad to see such a brilliant mind not being utilized fully for furthering an Indian economic conquest of the world. A few days before Rajan announced his decision not to seek a second term as Reserve Bank of India (RBI) Governor, I had posted in my Facebook account that he is comparable to T N Seshan, a former Chief Election Commissioner, who had redrawn the picture of a powerful but unknown position. We have had RBI governors in the past, but none with the same recall as Raghuram Rajan. The appointment of Rajan as RBI governor in 2013 was a masterstoke. But giving him only a three year initial term was not. When you see a diamond, you need to realize it. Neither the past Government nor the present did – with the result that the most brilliant economic mind India has produced goes back to teaching. Not that teaching is bad, but he had unfinished business here. The standout thing about Rajan is his understanding of the global economic framework. We have never had a head banker who brought the ‘big picture’ mentality to the bank’s policies before. With Rajan at the helm, we were treading uncharted waters, but definitely not to be cast away. Instead, we were being guided by a captain who knew how to steer the ship clear of trouble. Proof was in the way he attacked inflation; proof was in the way he performed as an iconoclast; proof was in the way he spoke with unbending conviction and unbridled hope. Beneath the charming visage which competed for stares from the womenfolk was a man who meant business and knew how economics should be practiced. Rajan’s legacy will be the freshness he brought to the RBI governance. He was even kind enough to let the deputy governors take centre-stage on more than one occasion. He had seen so much of fame that he was probably getting bored with it. Besides, he had his love to chase – banking and monetary policy reforms. Unfortunately, the tirade of an outspoken ruling party MP cast shadows over the man’s ambition to fulfill completely what he had set out to achieve when he took charge. It was surprising that the Government at that time did not support Rajan. Narendra Modi’s silence was fodder for Subramanian Swamy to further engage in egregious attacks on the gentleman. Modi was too late in snubbing Swamy. The damage had been done by then. The nation really does not want to know who the next RBI Governor will be. Such is the impression that Raghuram Rajan has created. None like him before, none like him after as well. He leaves behind a petrichor fragrance. Truly a man who brought fresh rains with that earthy smell.